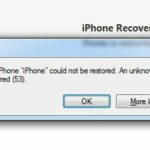 Several users have reported that they receive the error “The iPad <iPad name> cannot be synced, an unknown error occurred (1156)” after updating iOS 6. An associated problem is that iPhoto prevents users from syncing photos and videos. 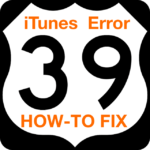 If the above steps did not solve your issue, try re-installing iTunes.